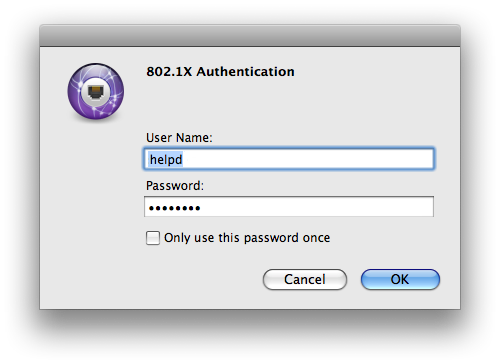 Go the OS X Menu bar and select the Wireless icon. 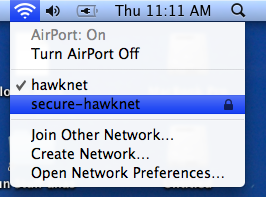 Choose "secure-hawknet" off the menu. 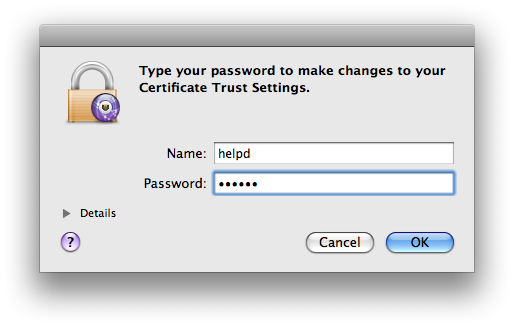 A prompt will appear, asking you for your username and password. 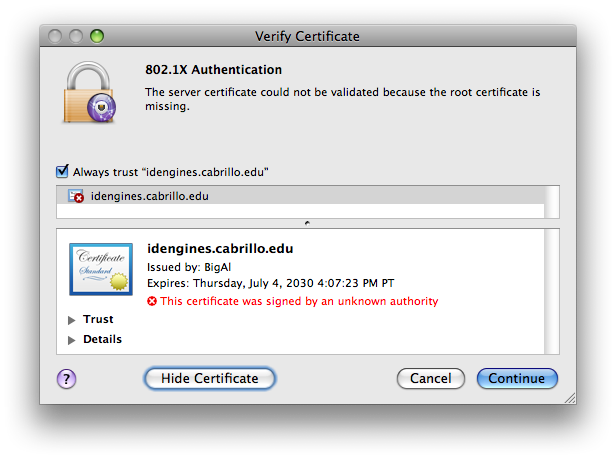 Check the 'Always trust "anna.cabrillo.edu"' checkbox, and click "Continue". Now check if you are connected to the internet. 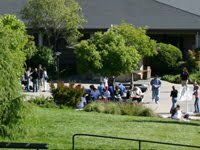 If you are not connected to the internet, or if you receive an error message during the process of connecting via secure-hawknet, then contact the helpdesk.